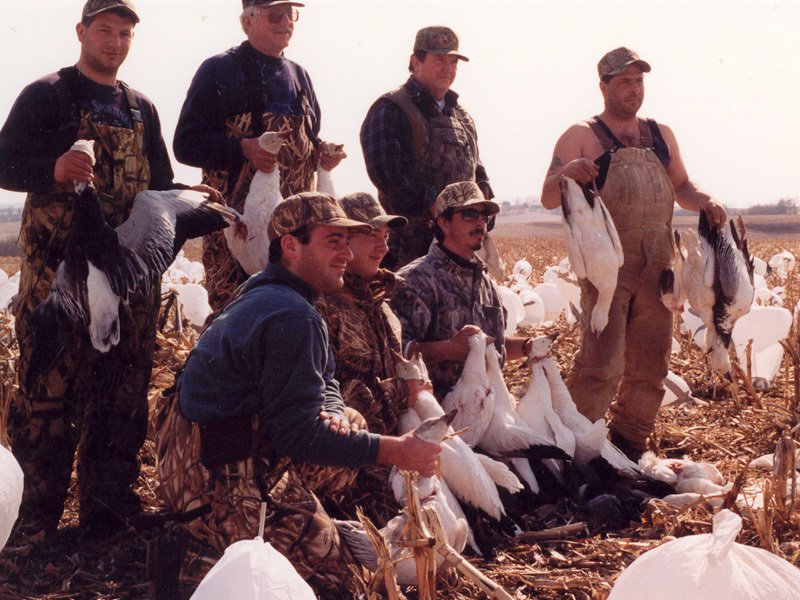 Prairie Wings Outfitters professional SNOW GOOSE GUIDES, SNOW GOOSE HUNTS, SPRING SNOW HUNTS, MISSOURI SPRING SNOW GOOSE HUNTS, NORTHWEST MISSOURI SNOW GOOSE HUNTS & DUCK HUNTING. 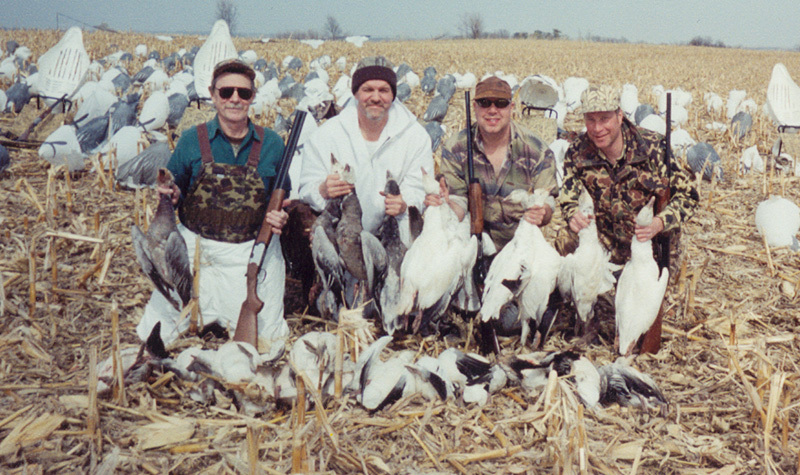 Our professional guides have several years of goose, and duck hunting experience and will share their secrets and techniques for the best experience. 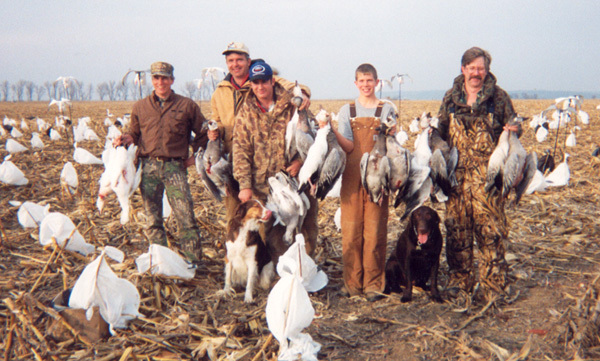 We offer a full guide service with each hunt including electronic calls, decoys, blinds dogs and of course BIRDS! 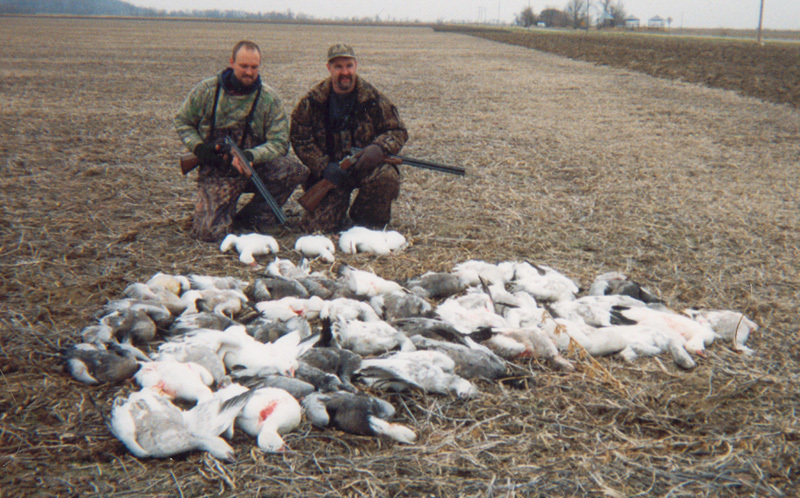 Be sure to fill out our Hunt Sign-up form to make reservations for your next waterfowl hunting adventure. Slots fill up fast so be sure to sign up early. 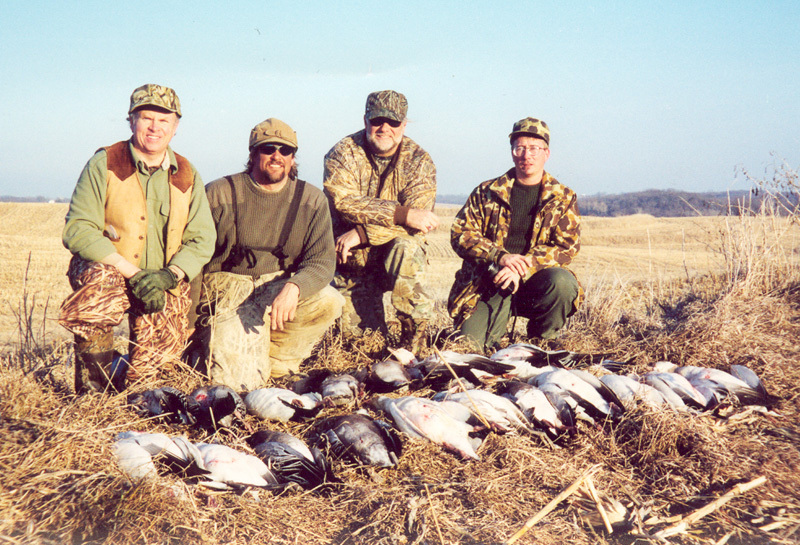 We have recently secured several acres of flooded field in Missouri's main fly way region. This is the dream spot for any duck hunter! 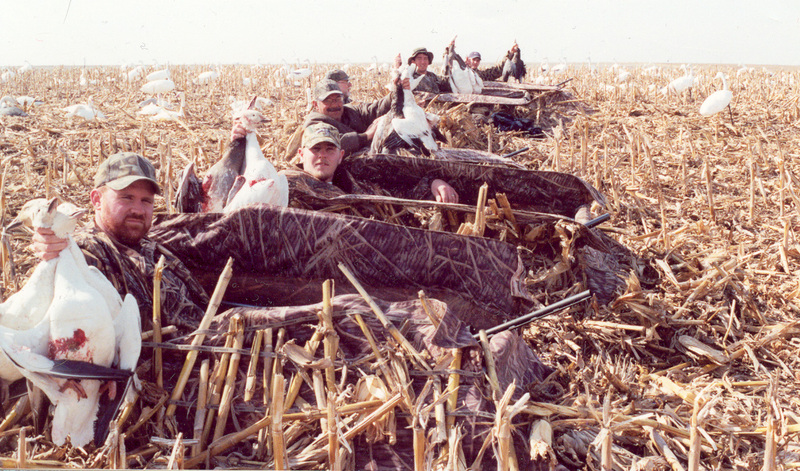 Plenty of birds to hunt in professionally built Quack Grass Blinds. 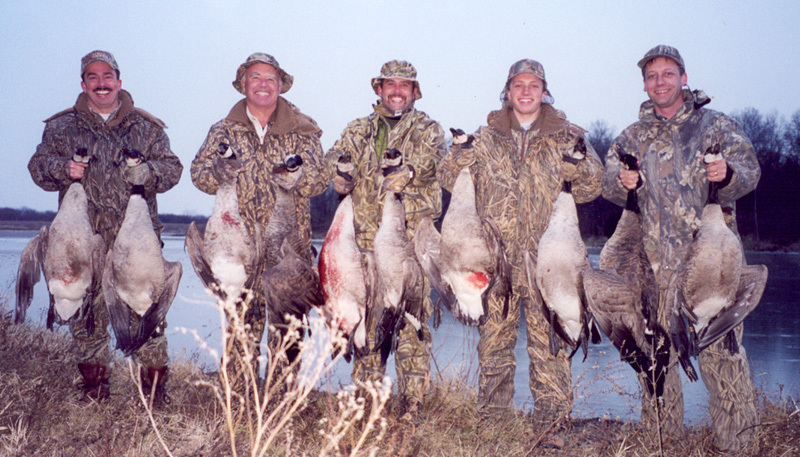 A hunting experience you can not pass up. Be sure to contact us today for more details. References available upon request. 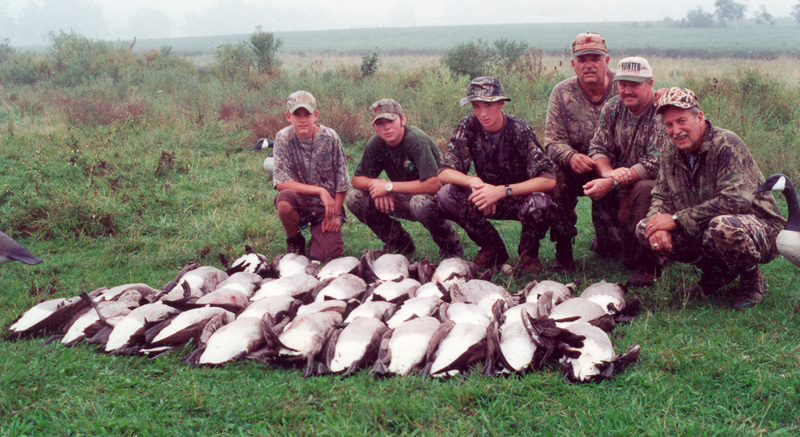 Take a look at some of our most recent goose and duck hunting photos and make sure your in the next group of photos! 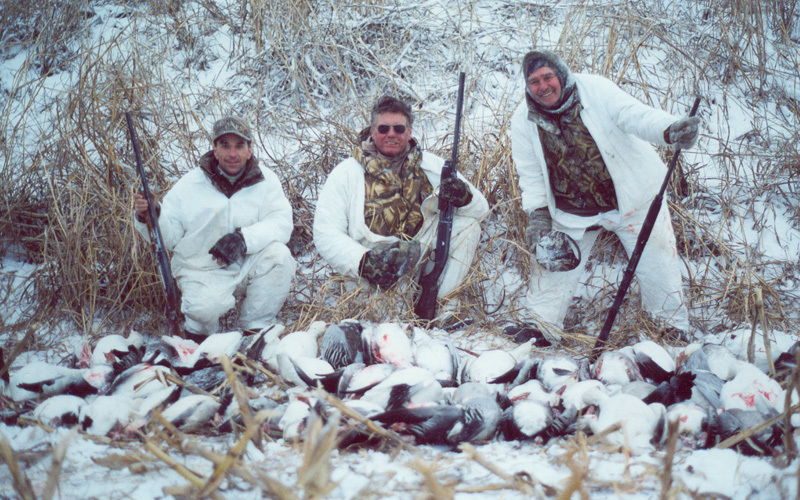 Our mission is to provide you some of the best hunting memories and stories. Click on the photos for a larger view..